Fleming, Bond and Casino Royale. If you have a spare $5,000 or so in your pocket, you can spend an evening in the villa where James Bond was born. 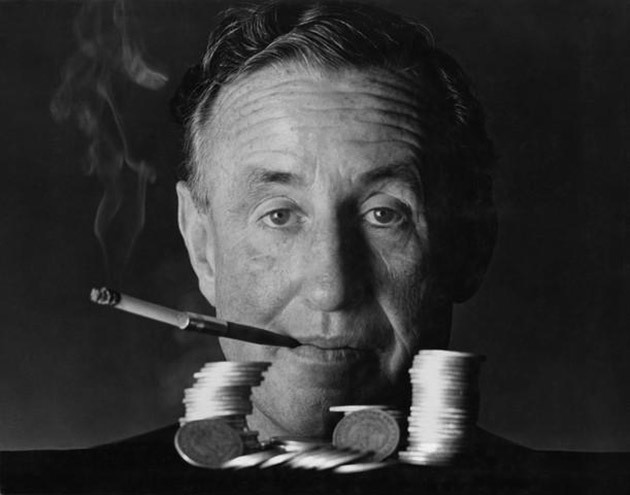 On a balmy morning in January 1952, Ian Fleming, an ex-stock broker, intelligence officer, journalist and unabashed womanizer, had just finished breakfast and taken a swim in front of the villa he called Goldeneye. He sat down at a brown, roll-top desk and began typing at a 2-year-old Imperial portable typewriter and began to write the novel that was to become James Bond’s debut –Casino Royale. On March 18th, six days before his marriage. he had finished the novel that was to launch his new career as a novelist and introduce a cold, similarly womanizing British agent named Bond – after the author of a book about the birds of the West Indies. Fleming’s inspiration for the novel came from his experiences at the French seaside resort Deauville in 1938. He discovered the “Greek Syndicate,” a partnership of wealthy Greek financiers and ship owners who purchase from a casino the right to run a baccarat game. In Casino Royale, the syndicate is Egyptian. Fleming immerses the reader into the scent and smoke of the tense, late hours of the casino. Most critics aren’t particularly kind to Fleming. But his admirers like John F. Kennedy and Raymond Chandler appreciated the Fleming touch like Bond appreciates a well-shaken martini. One only has to peruse the index of Andrew Lycett’s 1995 biography, Ian Fleming: The Man Behind James Bond to get a sense of Flemings mercurial personality. ‘With most women his manner was a mixture of taciturnity and passion. The lengthy approaches to a seduction bored him almost as much as the subsequent mess of disentanglement. He found something grisly in the inevitability of the pattern of each affair. The conventional parabola –sentiment, the touch of the hand, the kiss, the passionate kiss, the feel of the body, the climax in the bed, then more bed, then less bed, then the boredom, the tears and the final bitterness – was to him shameful and hypocritical. It is nearly impossible for today’s reader to escape of the sheer pull of the cinematic Bond. Sean Connery as 007. The unmistakable Bond music that still resonates 50 years later. Like Edgar Rice Burroughs, the creator of Tarzan; Fleming is less famous than his creation. In the United States, nervous publishers even changed the title to You Asked for It. 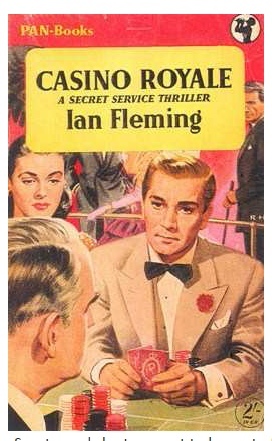 But tough cliché’s and weary readers aside, the character Fleming created on that January day in 1952 still reigns as the most famous “secret agent” in fiction. So what are we to make of the ironical, brutal, cold and sexist Bond in our modern age? I will play the Joseph Campbell card and say that Bond has become a mythic hero. Despite his Achillian flaws, we know that he will save the day. No matter how dire the circumstances, Bond always triumphs over adversity. Sure, it isn’t plausible or real. But that’s what being a mythic hero is all about. In just seven weeks, Fleming created his own kind of miracle. A character that hasn’t merely survived, but endured. This entry was posted in Literary Essays and tagged Ian Fleming, James Bond. Bookmark the permalink.